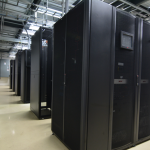 The Milwaukee Colo datacenter offers a secure and reliable environment for all of your colocation and IT hosting needs. We have more than enough space, power, and bandwidth to confidently support requirements that range from small and simple to tremendous and complex. Our ability to accommodate such wide ranging needs is all made possible by the state of the art features of the Milwaukee datacenter. At Milwaukee Colo, our colocation facility is equipped with reliable internet access by way of redundant fiber paths connected to diverse, industry-leading bandwidth providers. These high-capacity fiber connections are combined with efficient BGP routing equipment powered by Cisco to ensure unrivaled performance and availability. It is this world-class fiber optic network that enables us to offer bandwidth capacity at the most competitive prices. An ideal location just 25 minutes from Downtown Milwaukee makes our colocation facility the perfect place to host your IT infrastructure. The Milwaukee datacenter is conveniently situated away from hurricanes, tornadoes, earthquakes and other natural disasters, in a low-crime area in close proximity to major freeways and intersections. Below are several links to test the upload and download speed tests directly from our Milwaukee, Wisconsin datacenter. CyberLynk’s AS number is AS21554. 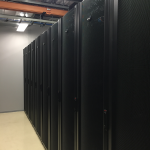 We peer with ATT, NTT, Cogent, Level3 and Spectrum in our Milwaukee, Wisconsin datacenter. The Milwaukee datacenter has underground power coming into building from the local utility grid. In the rare event of a failure, an efficient backup system is immediately activated to supply power and provide continuity. Our facility has uninterruptible power supply units and diesel-powered generators on hand that are capable of keeping the operation thriving until the power has been restored at the local utility. This ensures that the facility and every piece of equipment in it continue to run at full speed. There are many factors that go into choosing a colocation facility, and security is among the factors that cannot be overlooked. Milwaukee Colo has developed a comprehensive security framework that covers both the interior and exterior of our facility. 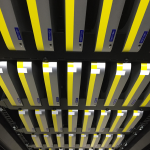 The Milwaukee datacenter has experienced personnel onsite, in addition to advanced electronic systems that help control access to the building. We also have dependable storage and backup solutions for clients who require the utmost in data protection and availability. 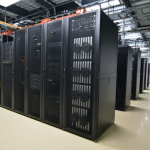 The Wisconsin datacenter maintains a 24/7/365 operation offering flexible, secure colocation services to meet the requirements of your IT infrastructure. Because even the most reliable environment is susceptible to failures, our expert technicians are onsite around the clock to make sure your systems stay up and running. Whether you are currently located in the state of Wisconsin or plan on moving your network equipment across the country, Milwaukee Colo is the smart choice as a datacenter partner. 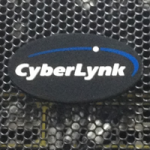 CyberLynk will never nickle and dime our customers. We include a TON of features our competitors will charge you crazy prices for. Not to mention all of the FREE services and equipment we include in with our colo service. CyberLynk will never lock you into a huge long term agreement. Our simple month-to-month pricing structure provides flexibility. CyberLynk’s highly skilled engineers are always available to help. With certified Linux, Windows, Mac and Cisco engineers on staff we will be able to help in almost every situation. CyberLynk can provide a 100Mbps, 1Gbps or 10Gbps Internet connection with your colocation service. With five Internet providers in our Milwaukee datacenter your equipment will have very fast connections to the world.